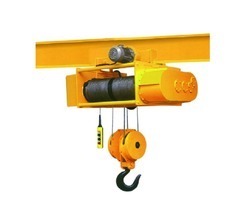 We are a leading Manufacturer of monorail hoists from Ahmedabad, India. We hold the expertise in manufacturing and supplying Monorail Hoists. These products are made of high quality steel materials. We also offer customized products in this variety, and can manufacture them as per the requirements of the client and given specifications. It is easily operated in the factory, warehouse, railway and dock etc.